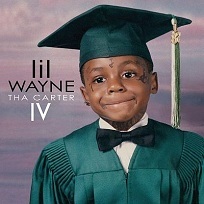 With Tha Carter IV slated for a final release date of June 21, 411Mania.com is hyping up the long awaited album. Tha Carter IV has gone through several delays, but it looks like fans will finally get their hands on Wayne’s first major release since being released from prison. Along with features from Jay-Z, Drake, and Rick Ross, the album is also confirmed to feature Tech N9ne. Young Money’s Tyga has already publicly stated that the track between Lil Wayne and Tech N9ne may be the best on the album. Considering all of the build up that has gone into the album, it will be interesting to see how fans respond to the major collaboration.